Today the Daily Palette is celebrating Grant Wood: American Impressionist, an exhibition at the Cedar Rapids Museum of Art (CRMA). This show is on view through September 21, 2014. Grant Wood (February 13, 1891-February 12, 1942) is Iowa's most famous artist and one of the most celebrated American artists of the twentieth century. He was born near Anamosa, but spent most of his life in Cedar Rapids. Wood developed an interest in art at a young age, and later advanced his skills at the Minneapolis School of Art and Design, the Art Institute of Chicago, and the Académie Julian in Paris. One of the three major Midwestern Regionalists, a triumvirate that also included John Steuart Curry and Thomas Hart Benton, Wood was devoted to painting the people and landscape of his home state. Impressionism, an art movement that developed in Europe in the late nineteenth century, became extremely influential for many American artists. Key aspects of the movement, such as the use of loose brushstrokes and a desire to capture the effects of light through color, were embraced by American painters in the 1890s and the beginning of the 20th century. 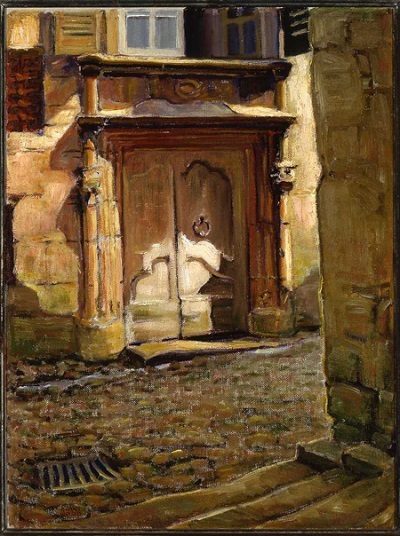 Some Americans studied directly with European Impressionists and helped bring their ideas to the United States, and many promoted their techniques at artist colonies. Although Grant Wood is best known as a Regionalist, he embraced Impressionism prior to 1930. His work from early in his career shows his use of loose brushstrokes and an interest in light effects. Grant Wood: American Impressionist "provides an enlightening look at this important yet overlooked period in the career of an American master."